Cascade Engraving & Awards, LLC can provide you with many products needed to memorialize your loved one - be it a family member or pet. Benches, plaques, tree & plant markers, bench plates, flag and medal cases and other custom items. A few you will see pictured below, many others are available upon request. Contact us for information on what might fit your needs. The garden marker above consists of a two part system. Part one is a black plastic frame approx. 3.5" x 5". The black plastic molded frame allows for an engraved 3.25" x 4.75" plastic insert to be attached within the frame. The finished look is a framed piece. Attached to the black frame is a black plastic stake, 6.5" long. 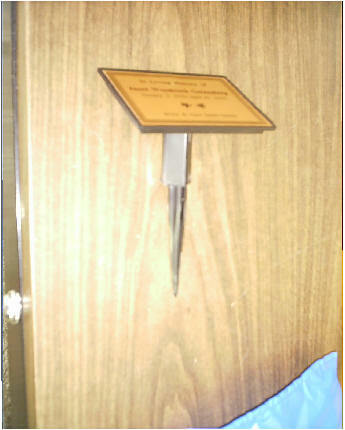 As you can see from the photo above, the stake and frame fit together to display the plate at an approx. 45 degree angle. Price for the set, including engraved plate, is $45.20. Life span is approx. 5 years under acceptable conditions. Harsh sun exposure may lessen the lifespan and a protected environment may lengthen the lifespan. Stainless steel inserts are available for an expanded lifespan. The plates shown above are designed to last a long time outdoors. The frame is constructed from cast aluminum with a raised border in which a 3" x 5" photometal insert is installed. The photometal insert is made using anodized aluminum with a resistance to abrasion, chemicals and high temperatures and offers extensive outdoor life in an outdoor environment. SPM2 comes with a 24" x 1/4" aluminum rod. Option of a 45 degree angle for frame or straight. Price, including photometal plate, $109.76 per set. FPM1 is designed to attach directly to a tree or flat surface. Four mounting screws are included. Price, including photometal plate, $109.10 per set. Copy for either style is available in black lettering on silver background or silver lettering on black background. Shown above is an example of the new process called "ghosting". Using a simple, heavy lined basic art for the ghost image in the background allows the lettering to show up clearly over the top of the image. Your custom image can be used. Contact us about this great new look. 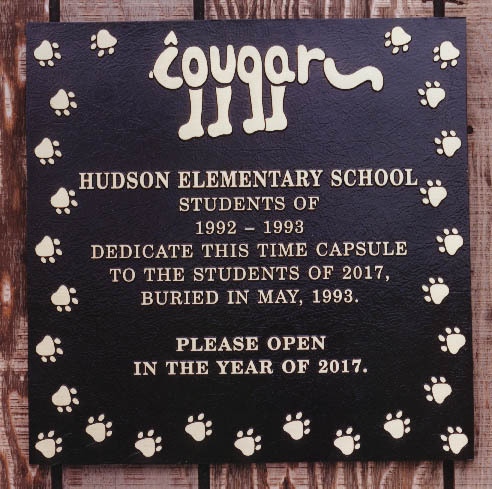 From simple to complex, using cast bronze or aluminum for your plaque is a lasting memorial to those to be remembered for years to come. 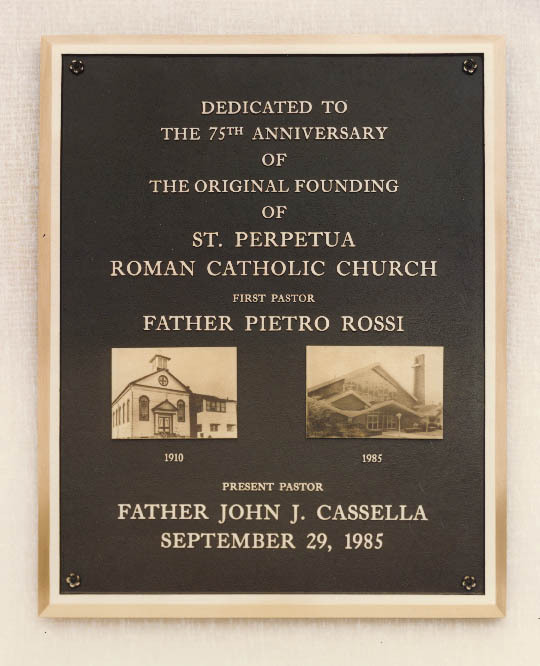 Include simple wording, add photos or decorative borders and the plaque becomes personalized for your event/location. 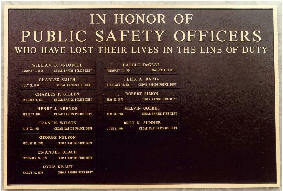 The cast bronze and aluminum plaques shown above are just a example of what your memorial plaque could look like. Many different sizes, colors and lettering choices are available. To receive an accurate quote on cast plaques we ask that you send us all your wording and requested photos or designs, and the estimated size of plaque you would like to use and we will mock up a paper proof to see if all your wording fits within that size. We can then provide you with an exact quote based on your custom requirements. Cast items can also be used to create perpetual plaque layouts. This is a lasting way to create memorial or contributor listings for foundations or educational facilities. 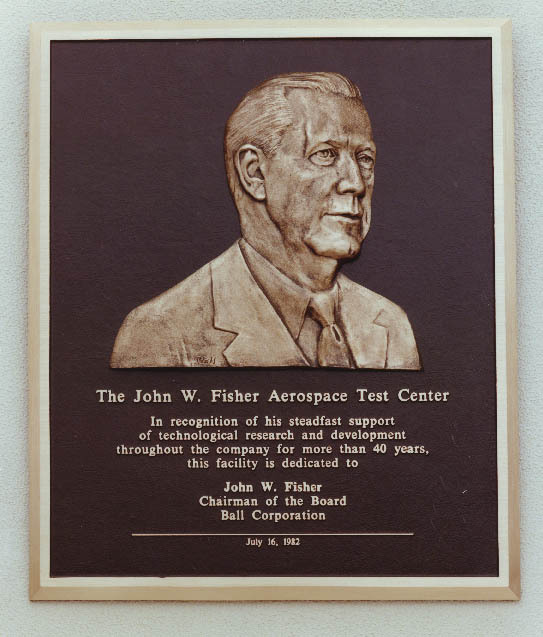 Each time you have additions to the plaque a new cast plate is made and simply attached to the master plaque. Our flag cases are high quality polished Cherrywood, American Walnut or Oak. 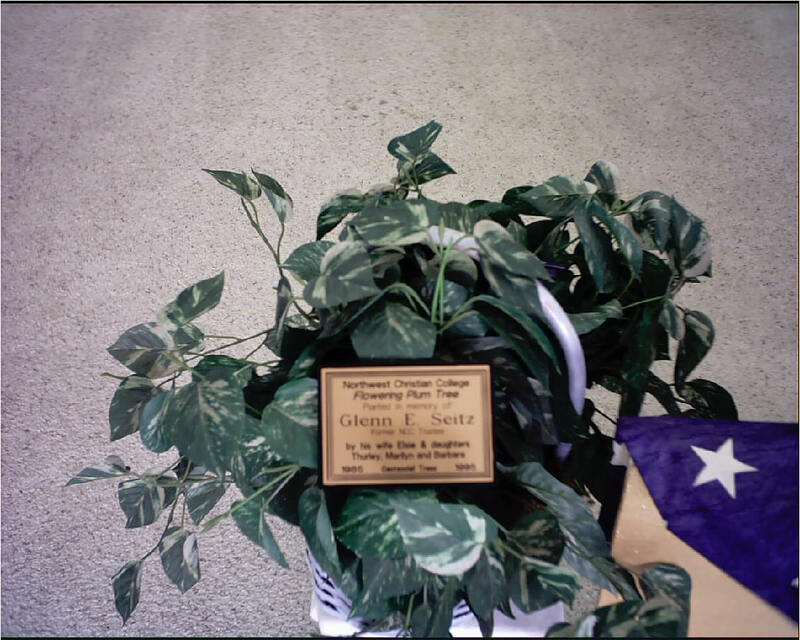 They are sized to fit 3' x 5', 4' x 6' or memorial flags. Some cases are arranged to allow for display of medals also. Contact us for a sizes/styles available and pricing.